United went into this match knowing a positive result would give them a great chance of progressing to the semi-finals of the UEFA Cup for the first time inter history. 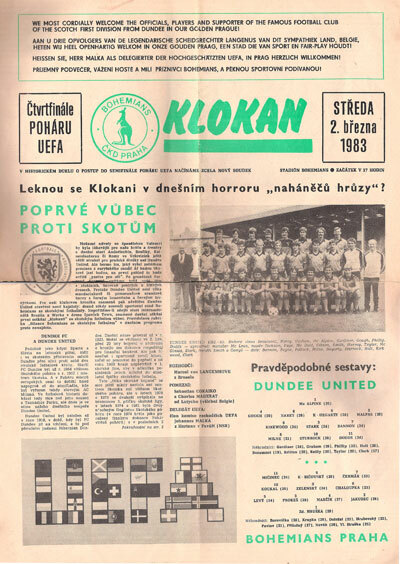 Around 18,000 fans packed the stadium on a brisk Prague evening to get a glimpse of the tangerines. United started well and it looked promising when Sturrock raced clear after just two minutes. His low cross needed only a touch but Dodds couldn't connect. A minute later Milne swept through and his cut-back caused panic before being cleared for a corner. Things took a turn for the worse after what looked like a settled opening 10 minutes, they went behind. United's defence got caught stuck in the mud as Pavel Chaloupka found space in the box to head Bicovsky's free-kick into the net. Far from being backs to the wall stuff. Stark and Dodds see shots saved by liruska. United played confidently for the remainder of the half and silenced the crowd with a couple of searing breakaways.Derek Stark was magnificent in midfield and the partnership of Gough and Hegarty served them well at the back. Paul Sturrock, whose wife presented him with a baby girl in the early morning, put on a brave display despite some horrendous tackling from the home side. Unite could have easily levelled things just before half-time when a Bannon cross reached Milne who took his time, and his shot was blocked. 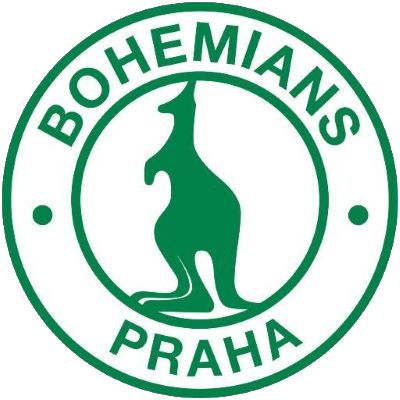 Chaloupka warmed McAlpines hands with a shot at the start of the second half but Dodds did even better with a terrific effort which the Bohemians' keeper did well to push for a corner. Stark was booked in the second half, Marcik and Prokes received similar punishment as frustration crept into the Czechs' play. Ralph Milne who had also been excellent in the first half, fade after the interval and was substituted. Dodds came close when he met a Bannon cross but his header was too straight and consequently easy pickings for the goalkeeper. Then Kirkwood had a great chance when Milne nodded a Sturrock cross into his path. Bohemians stepped up the pace in the late stages and it took a despairing Narey tackle to halt one dangerous move and close out the 1-0 defeat. Jim McLean said, "I am absolutely delighted with the performance but I thought it was an injustice that we are one down".